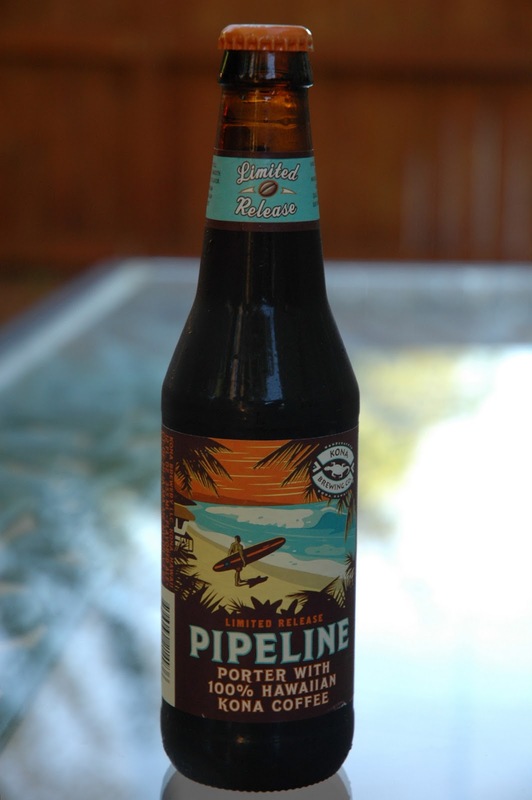 The Not So Professional Beer Blog: Review: Pipeline Porter, Kona Brewing Co. Description: “Pipeline Porter is smooth and dark with a distinctive roasty aroma and earthy complexity from its diverse blends of premium malted barley. This celebration of malt unites with freshly roasted 100% Kona coffee grown at Cornwell Estate on Hawaii’s Big Island, lending a unique roasted aroma and flavor. A delicate blend of hops rounds out this palate-pleasing brew." — Kona Brewing Co.
Random thoughts: The last Kona beer I tried was Wailua. I can summarize my review by saying it over-promised and under-delivered. So when I saw Pipeline Porter at New Seasons, I wasn't entirely anxious to try it. 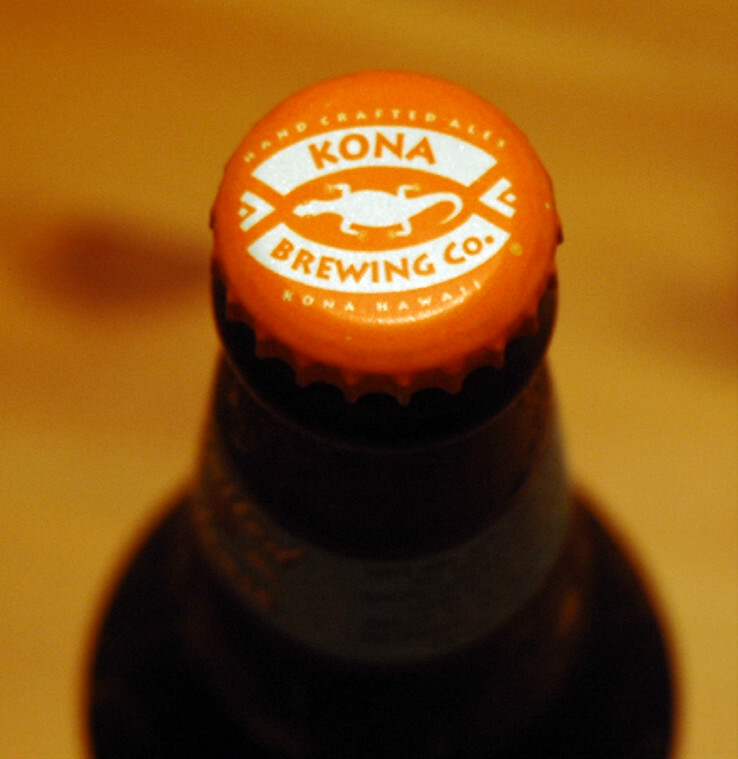 However, since it is a fall seasonal, I decided to give the good folks from Kona another chance. The tasting: Color is dark brown—not quite black, with a tan colored head. Aroma is (as advertised) coffee, and lots of it! Taste is coffee and loads of malts. The hops don't really come though at all in aroma or taste. Body is medium with a very smooth and creamy mouth feel. It's lightly carbonated and leaves a lingering coffee & malt aftertaste, which is appropriate. The malt heavy profile of Pipeline provides a nice change of pace from the hop laden beers I usually drink. Rating: 4 star. Really Good! I want this again! Coffee really isn't a flavor I look for in a beer, and don't think I will drink this on a regular basis. But if I'm ever in the mood to swap my espresso for a beer, I'd look for Pipeline Porter again. Kona promised passion fruit with Wailua, and it was nowhere to be found. Such is NOT the case with Pipeline. 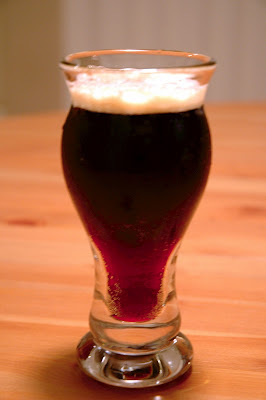 If Starbucks served beer, this would be the one. Have you TRIED Pipeline Porter? What did you think?